This is the R Page of our A to Z guide to plants -- how to care for them, landscaping with them, and cooking and healing with them. In Mexico there are many varieties of radishes, not just the red ball variety so popular in the States. In Oaxaca, Mexico, this vegetable is exalted at Christmas in the “radish festival” where all of the city’s groups and societies create radish scenes on the zócalo or town square. It is a sight not to be missed if you ever get to Oaxaca at Christmas. Benefits: Radishes are a colorful and peppery addition to salads and their sulfur content is said to aid digestion. Along with that, radishes offer potassium, folic acid and of course the oft touted antioxidants. If you like the taste include the tops thinly sliced in your salad too. They are packed with vitamin C.
Photographed: In the market in Panajachel, Solala, Guatemala. 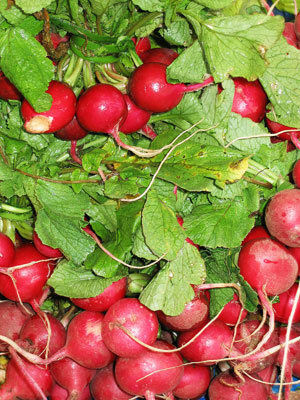 Planting and Care: Radishes are easy to grow almost anywhere you have reasonably soft soil. They like full sun and routine watering or rainfall. I've used them for years as a marker crop for slower growing veggies. Radishes are often up and in my salad bowl in a month or so. 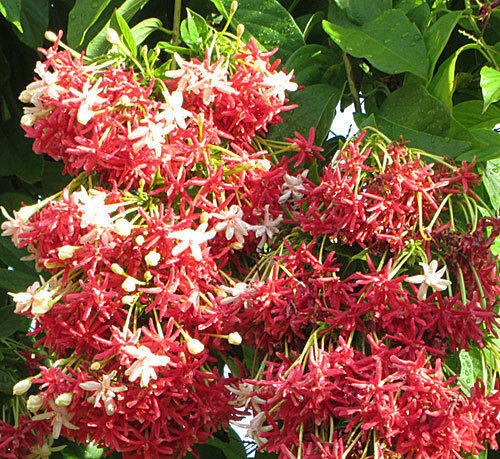 This is the lovely lacy looking small tree that gave us pink blossoms more than once a year in Montserrat. Its branches root easily so it is often used as a border planting to break the wind by a vegetable garden or field. Though it is said to be a large tree, there it never seemed to be so, growing only to about 30 feet. At night it wisely folds its leaves which might otherwise act together as an umbrella. Rain seems to come most frequently in the night in the Caribbean so this tree has adapted well to its environment. 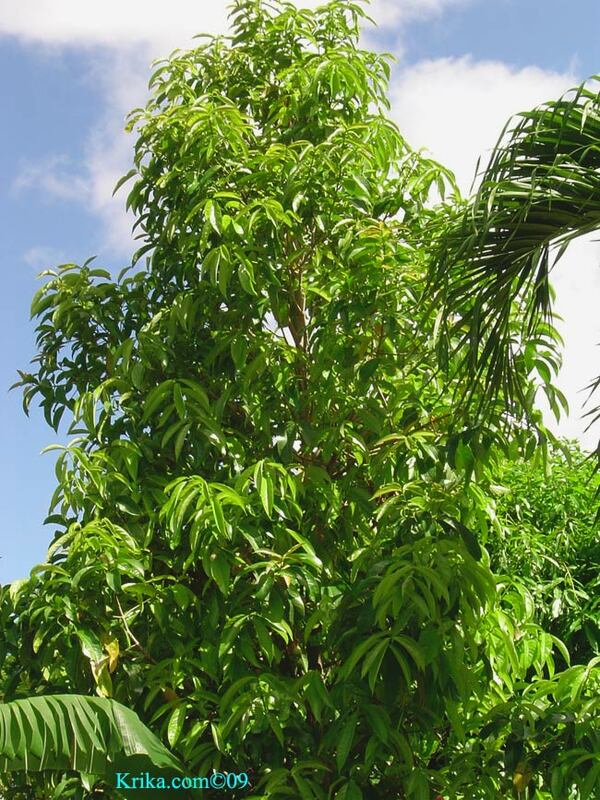 Its effort to fold its leaves at night ensures that rainfall reaches the base of the tree. From: Central and South America. I first saw these peculiar fruits in the Panajachel market in Guatemala. 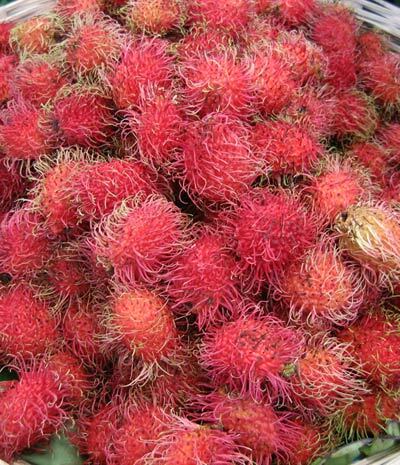 I'm always attracted to the unusual and here is what I've learned about this golf ball sized deep red fruit with long soft red, yellow or green hairs . 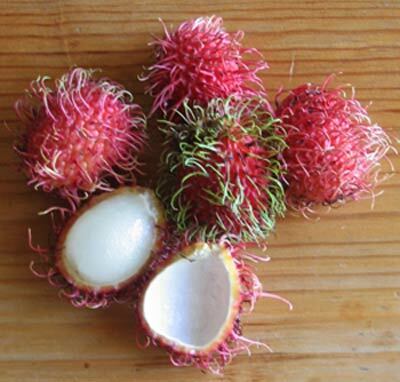 First they have a delightful light taste with no after effects as are not uncommon in tropical fruits. Second the inside is as appealing as the outside. Photographed: In the fabulous food market in Panajachel, Guatemala, in 2010. Planting and Care: This is probably best left to the experts, but if you insist on trying find a good source for how to do it. I have saved some seeds and will let you know how it goes when I get back home and plant them in the garden. 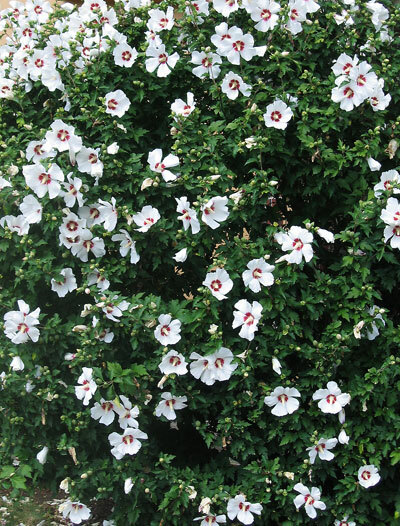 This is a tough fast growing vine like shrub which blooms with lovely white to red flowers. 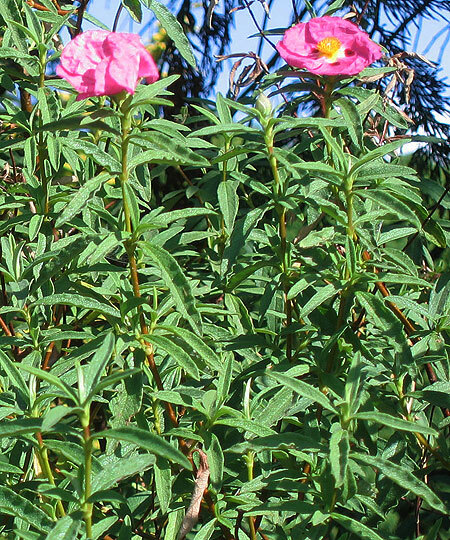 When not in bloom it is a commendable plant for its resistance to insects and diseases and because it is very easy to grow. Truthfully, it is almost impossible to eradicate so be careful where you plant it. 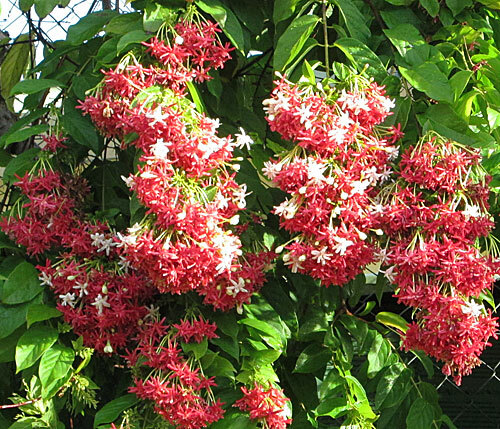 Benefits: The Rangoon creeper is an attractant for butterflies and hummingbirds. Planting and Care: This wonderfully hardy and attractive bush will grow contentedly in sun or semi shade with some rainfall or watering. In my experience it will also survive drought periods fairly well. 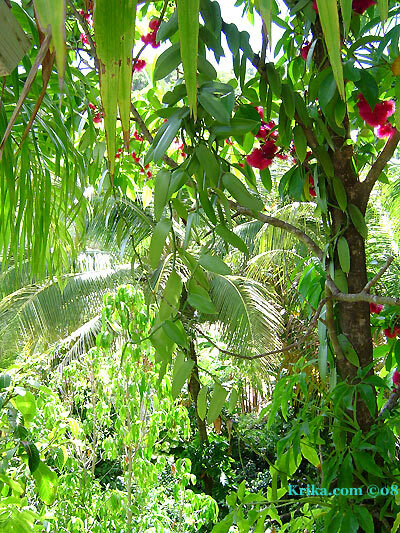 Photographed: On the left, in the deck garden at our former home in Montserrat, in 2008. On the right in the Royal Botanic Garden in Sydney Australia, in 2013. Photographed: In Crown Point, Tobago, in 2017. Has there ever been a person on earth who doesn't love raspberries? I doubt it. Benefits: Aside from providing a hefty dose of fiber, raspberries, both the deep purple and red varieties, are said to carry lots of antioxidant benefits. Planting and Care: Red Christmas Pride prefers a shady rainforest environment. It is not frost hardy, though in its native environment it is a ready survivor. My #26 Flower Mystery was solved by Glenn a visitor to my website who lives in Brisbane, Australia. Many Thanks. These trees are magical and I'd never had the honor of seeing one until we visited Wellington, New Zealand. It was well worth the wait. Photographed: In the Winter Garden in Auckland, New Zealand, in 2013. Having grown up surrounded by rhododendrons I was very surprised to learn of their toxicity. 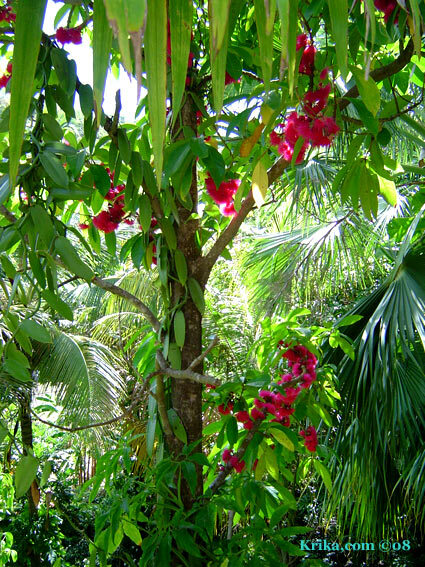 Naively when we moved to the Caribbean I began reading about the poisonous plants there. I never assumed that my birthplace presented equal dangers. 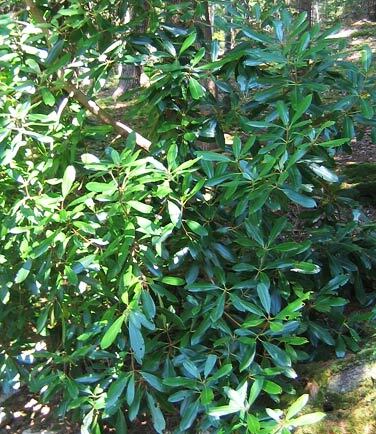 All parts of the rhododendron are poisonous, even very deadly. 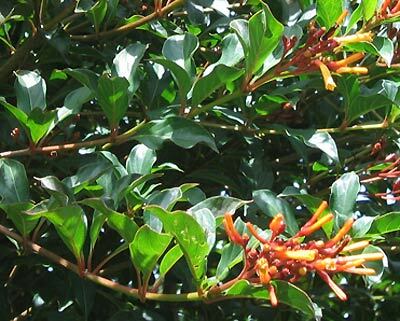 Photographed: In the Thuya Garden on Mt. Desert Island in Maine, 2013. 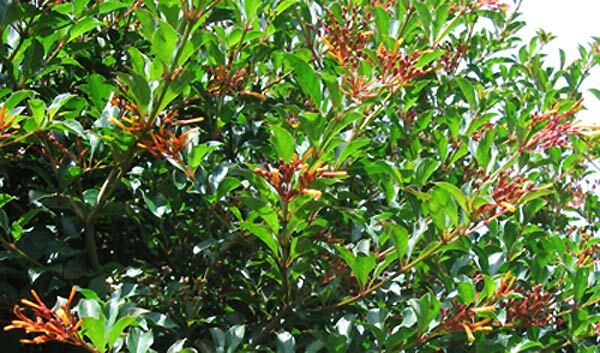 Planting and Care: These marvelous lush green all year shrubs with beautiful spring time blossoms thrive in shade often provided by being planted as foundation cover. Give them routine rainfall or watering to keep them at their best. Since they always do well planted by cement foundations, I would suspect they prefer sweet soil, but I haven't confirmed that yet. Warning: All parts of rhododendrons are very poisonous. This perennial plant so well known as a garden staple in New England, proved an elusive gem in my Caribbean garden wish list. I always wished that someone coming down to the island from the northern US or from Canada would bring a root for me. I would have gratefully baked them a pie! Folks in Montserrat aren't known for their generosity or their kindness and I never did get a rhubarb root. The good news is that we are now living by Lake Atitlan in Guatemala which has a good climate for rhubarb and I was able to order seeds which have proven more than viable as you will see when I get the photos organized. Strawberries here in the market are fabulous so I'll soon be cranking out my very favorite fruit pie -- strawberry/rhubarb. Benefits and Risks: Anyone who has had a strawberry rhubarb pie knows the benefits. 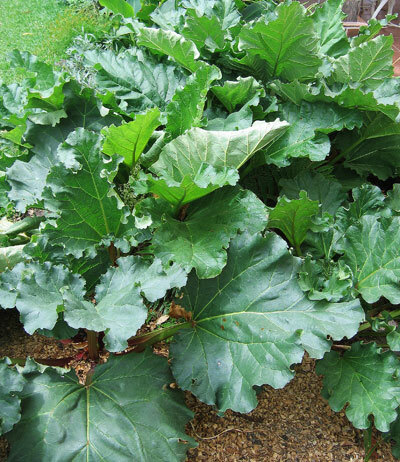 What is less well know is that every part of the rhubarb plant except the stems is highly poisonous. 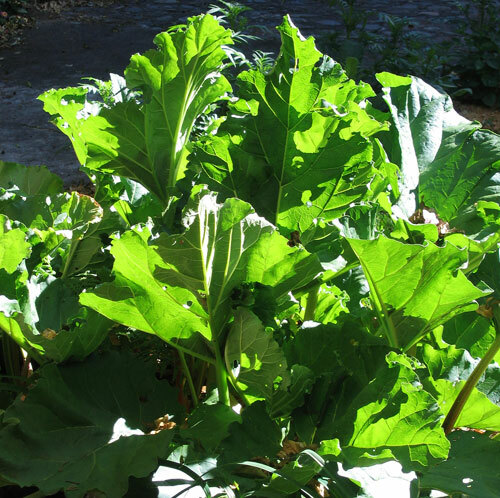 "Rhubarb leaves contain oxalic acid, a chemical compound found in bleach, metal cleaners and anti-rust products. 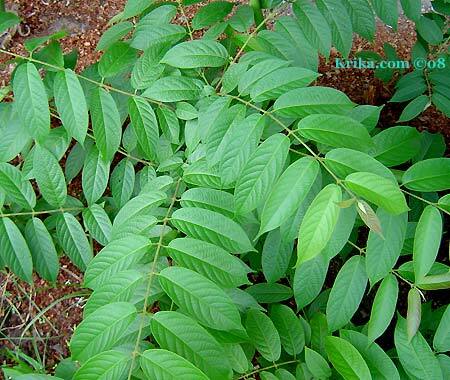 The leaves also contain anthraquinone glycosides. Eating the leaves can lead to a burning sensation in the mouth and throat, nausea and vomiting, gastric pain, shock, convulsions and even death." Thanks Yahoo. 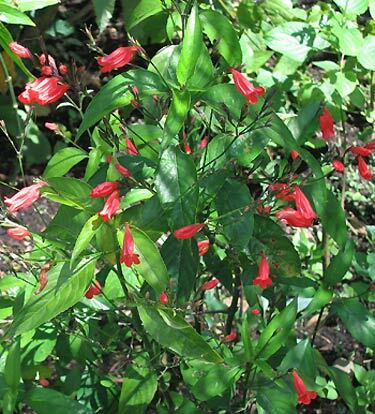 Photographs: All photographs were taken in our garden at Lake Atitlan in Guatemala. Planting and Care: I had read that seeds should be planted where you want the final plant grow; that they do not transplant well. When the plants were quite small I did not find this to be at all the case. I planted seeds in used 3 x 5 x 9 styrofoam trays first used to sell white button mushrooms here. Once the little plants were up and doing well I replanted them in deeper pots and then in the garden in a soil that is loose with good drainage and a pH that is moderately acidic. Wait till you see the pictures. I am in heaven! And by the way, I tried to transplant a rhubarb whose leaves were about 10" long and it simply died. 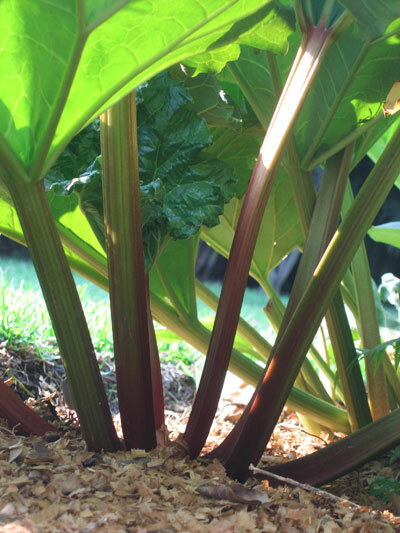 Notes for the hot climate gardener: Plant your rhubarb where it will receive only morning or late afternoon sun. 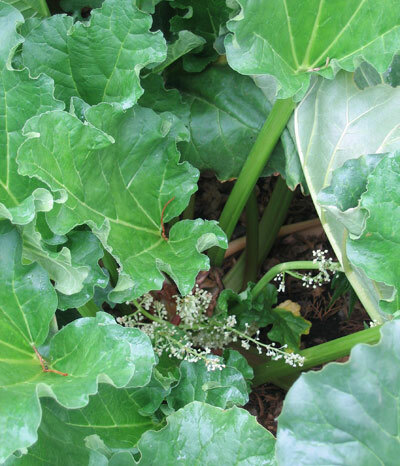 Warning: Except for the leaves, every part of the rhubarb plant is highly poisonous. 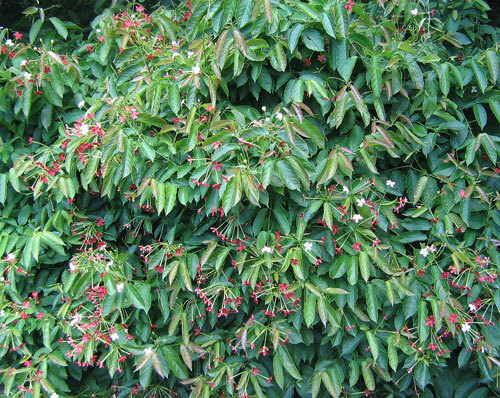 As you can see in the photographs this is a charming flowering bush. It flowers for a long period of time; each blossom, however, lasts only a day. I have yet to see one at the plant store here in Guatemala, but it is definitely on my shopping list. Photographed: At the Winter Garden in Auckland, New Zealand, in 2012. 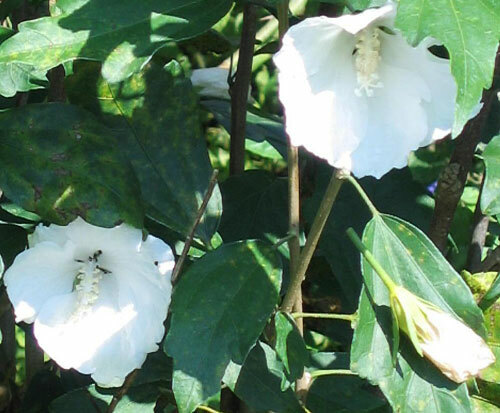 Planting and Care: Plant this hardy flowering bush in full sun in almost any well drained soil. It is tolerant of a range of pH and pretty much everything else. Just keep it out of strong winds and it will do fine. It is even resistant to deer. 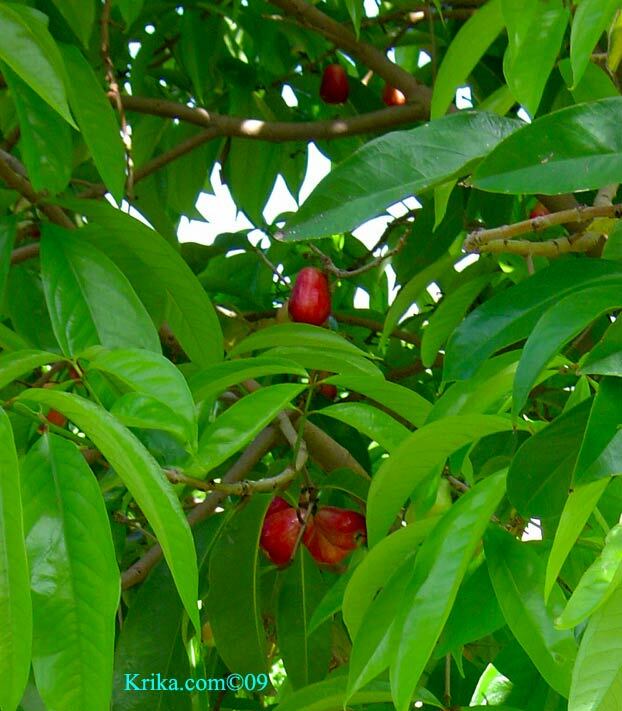 The nicely shaped tree in the photograph below on the left is locally known in Montserrat as a Plum Rose and its brilliant red fruits are shown in the photograph below on the right. Photographed: All of the photographs were taken at neighbor's homes in Montserrat. 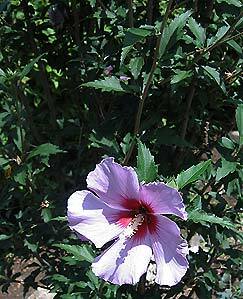 This more scrubby version of an hibiscus will grow to be about six feet tall or more and just about as wide. Its flowers will last a couple of days. 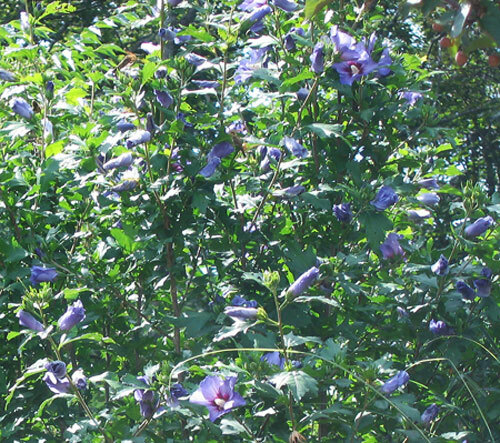 While living in Bristol, Rhode Island, in the United States many years ago I had a thick hedge of Rose of Sharon and I liked it very much for its continuous blossoms and for its ease of care. 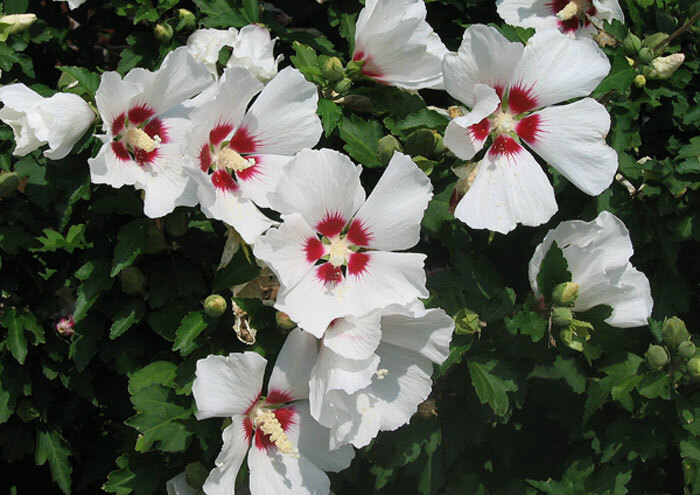 Planting and Care: Treat this plant as a hardy and fast growing hibiscus and it will do just fine with lots of sun and a reasonable amount of water. Like the hibiscus it also likes an acid soil. Photographed: At the Hotel Vision Azul on Lake Atitlan in Guatemala. Photographed: At a hotel in Rhode Island in 2013. 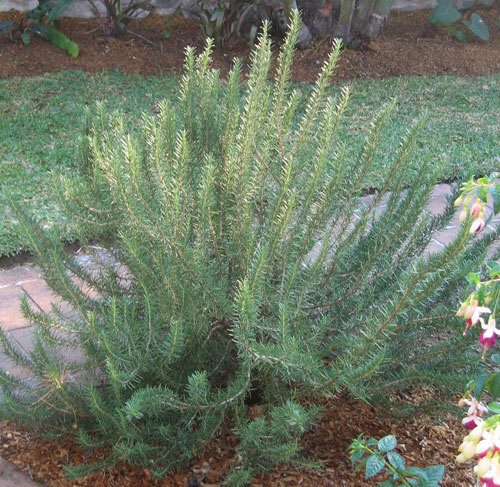 **Rosemary Herb Rosemarinus officinalis L.
This is a beautiful plant and a wonderful herb. 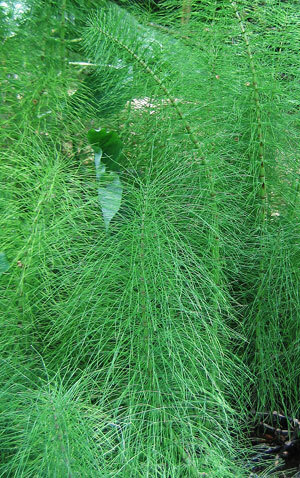 Growing naturally it will reach from between 2 and 6 feet, looking like an ice green strange small pine tree. Its fragrant leaves are a wonderful addition to any fish stew and I don’t think our stuffed mushrooms would be the same without it. We had one thriving in a pot in Taxco, then two plants growing in our herb garden in Montserrat and now one very large plant in our backyard garden at Lake Atitlan in Guatemala. 1. Apart from using rosemary in the kitchen, use its powdered crushed leaves as a flea and tick repellant on your pets. It’s a great alternative to toxic chemicals which aren't good for you, your children or your pets! 2. Rosemary is believed by some to have a stimulating effect on brain activity increasing the ability to think and solve problems quickly. 3. It is also said to be an aid to digestion, but my personal experience is just the opposite. Whenever I eat anything flavored with rosemary (which I love) I run pretty shortly for the Tums or any other anti-acid medication nearby. 4. A mix of rosemary and thyme may have a beneficial effect in reducing the harmful effects of high heat grilling of meats. 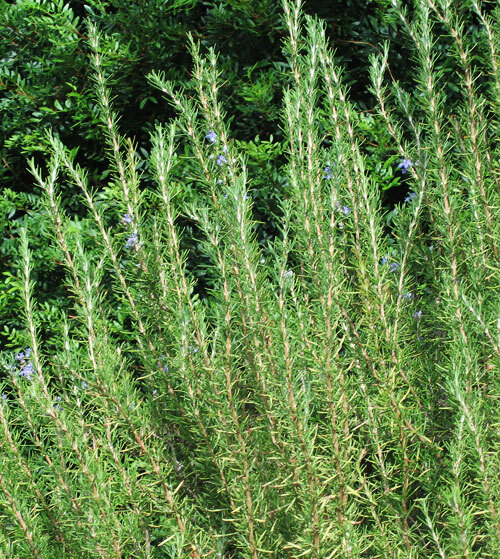 Planting and Growth: As is true of so many plants from the Mediterranean, rosemary is said to grow most vigorously in a reasonably dry, rocky and alkaline soil. Photographed: In the Botanical Garden in Naples, Italy. We northern climate folks know this as a fine and hardy potted plant. Growing outside in the Caribbean it is an entirely different creature. 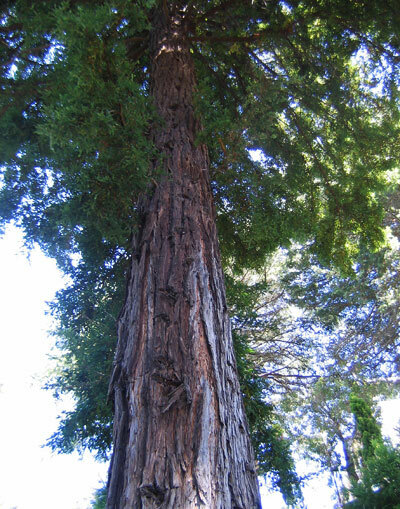 It is a fast growing tree which may grow as high as 100 feet -- huge and verdant. In a tropical environment watch out for this tree's voracious root system. The rubber tree is a member of the ficus family which is well known in the tropics and often dreaded. Despite the beautiful appearance of this family of plants and trees, they are best planted in an area where they will entirely dominate the environment -- nothing can compete well with them. Benefits: According to Yahoo news, "It ranks high at eradicating nasty formaldehyde," from your environment. I can personally attest to its being extremely nasty. 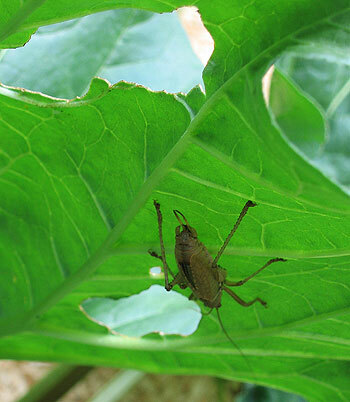 Photographed: In our garden at our former home in Montserrat. 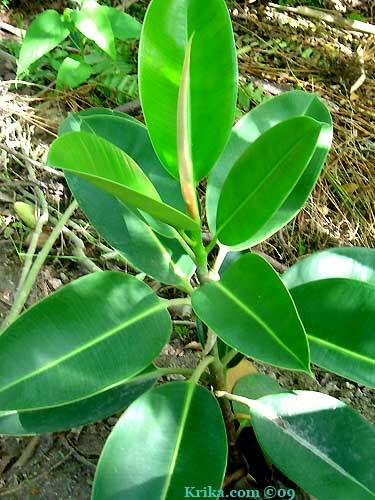 Planting and Growth: Preferring a little shade, but weathering full sun, the rubber tree plant will take a lot of water. It makes eventually an extremely gorgeous tree! 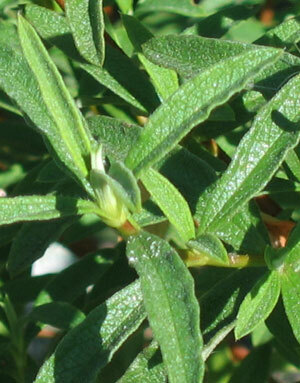 This appealing plant will grow in a clump about two feet tall and will flower in late summer. Photographed: In the Coastal Maine Botanical Gardens, Boothbay, Maine, 2013. 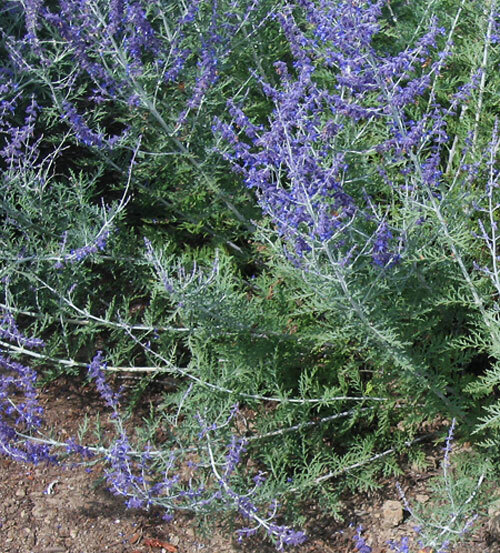 Planting and Care: Tolerant of almost everything, Russian sage is a perennial that prefers only to be planted in full sun.